Miss Diantha Lucas understands society’s rules: a young lady must find a man to marry. But Diantha has a bigger goal and she’s not afraid of plunging into adventure to achieve it. 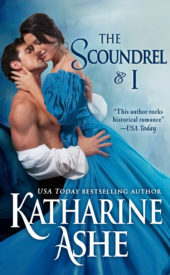 When daring, dashing Wyn Yale rescues her, she’s certain he’s just the man she needs. 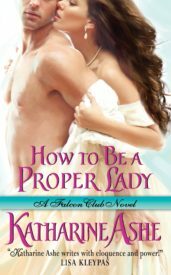 As an agent for the secret Falcon Club, Wyn knows his duty, but he’s not about to admit he’s a hero of any sort. 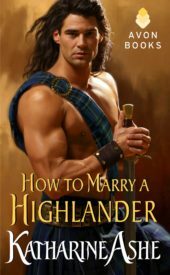 He has a plan too: steal a prized horse, murder an evil duke, avenge an innocent girl, and probably get hanged for it — in that order. Wyn can’t afford to be distracted by a pretty face, even one with delectable dimples and kissable lips. But how can a country miss and hardened spy solve their problems when they can’t keep their hands off each other? DESERT ISLE KEEPER: "This is not your standard road trip romance... THIS is the gold standard in happily ever afters." 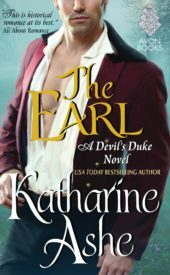 What is an author to do with a gentleman who appears on the page of another hero’s book and captivates her from his first teasing smile? What is that same author to do with a girl who peeks through the cracked open doors of another heroine’s book, speaks entirely without irony, and seems to have nothing whatsoever in common with that gentleman mentioned above? Well, I'll tell you: that author hurls them together on a harrowing road trip and lets them discover where the road will take them -- together. 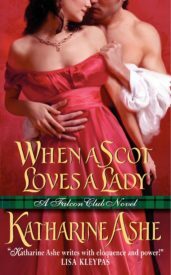 I fell in love with Wyn Yale the moment he opened his mouth in When a Scot Loves a Lady (my novel featuring his best friend, Leam Blackwood). Some heroes are like that. They appear before me fully realized, in all their integrity of character and agony of spirit, their heartbreaking disillusionment and aching self-deception and knee-jerk nobility. Diantha Lucas came to me in the same way: as a girl so scarred by the mother who tormented and then abandoned her that her entire reality is bound up in finding that mother again and making things right. I also absolutely adore road trip romances. Road trips throw two people together in the most extraordinary circumstances, force them to make allies out of passersby and homes out of hovels, and impel them to depend upon each other for everything--companionship, safety, and even happiness. To write Diantha and Wyn’s love story I traveled the roads that they travel from England to Wales, wending my way down narrow country lanes bordered by woods or high stone walls thick with ivy or fields of fluffy white sheep. I poked my nose into ancient farmhouses and tiptoed through the shadowed chambers of old abbeys, floors creaking beneath my reverent steps as I drew in the scents of beeswax candles and wood polish and baking bread. I walked through the rain on emerald Welsh hillsides pillowed in shimmering fog, soaking my shoes, finding refuge finally in cozy pubs and tea houses whose cakes were the best I’ve ever tasted. And all though this journey of mine, Wyn and Diantha’s story unfurled for me, from their opposing goals that force them apart to the dangers—dangers from both without and within—that draw them together… closer and closer together… until without realizing it they reach the destination neither had dared to dream: love. I think all authors must have a few books they especially loved writing. For me, Wyn and Diantha’s romance is one of those. I hope you love it too. “You called me pretty, but with all due respect, gentlemen tend to break Rule Number Six remarkably often.” This hurt. Wretchedly. But it should not hurt so much. “And actually, it would be mutual—the part about simply wanting to feel pleasure and satisfaction. So that is only suitable.” She ignored the tight ball of nausea in her midriff. She wanted to damn him for being a gentleman when she least wanted that. But her throat was closed. Instead she folded her arms over her sick middle, swiveled about again, and tripped over the bucket of milk she left in the corridor earlier when she’d been so distracted by his kiss. She went sprawling with a clang and creamy milk and skirts all jumbling sloppily across the cold stone floor. He came flying into the corridor and onto his knees before her with a haste she might have liked if she weren’t mortified. “Are you injured?” His quick gaze scanned her from brow to toe. “Grand exits are often tiresome anyway.” He grasped her hand, and she could sit in this puddle forever if he would continue looking at her with such intensity. “Who would have thought that cow could best me after all?” she mumbled. He grinned, drew her up, and released her. “You were wrong.” His voice was low. Her gaze shot up. He set his palm on the wall behind her and leaned in. Diantha’s mouth opened and closed, searching for a response, her throat working to hold back a plea. She would not beg again. She squeezed her eyes shut against the temptation, and snapped them open when she felt his breath upon her cheek, then—oh, God—his lips. He breathed against her skin and her body quivered at his closeness. He drew back and his gaze traveled over her face, his eyes sparks of light in the darkness. Slowly he bent to her lips. The silver-eyed Wyn with his formidable intelligence is a tortured hero par excellence. Emotionally touching and sexually taut... The characters are textured, deep and believable. 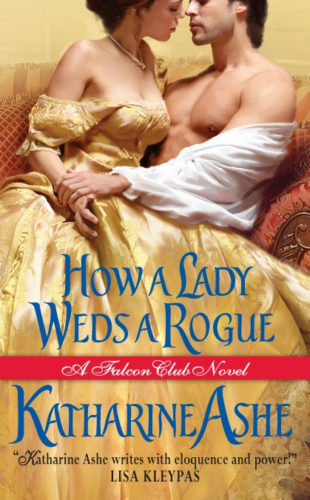 The writing is strong and lyrical, easily supporting agile, polished dialogue and a complex, well-paced plot… With its jaded hero, effervescent heroine... and healthy doses of both humor and emotion, this is a delightful Regency jaunt. Absolutely charming and engrossing. The characters are utterly human, especially in their entirely believable foibles… A don't-miss novel! The interaction between the hero and heroine is magnificent, and the hero himself is devilishly charming. 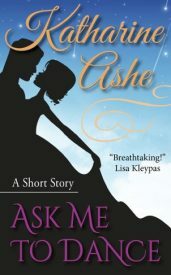 Ashe introduces two outwardly charming, funny, kind and good individuals, peels back their layers to reveal their deepest, darkest secrets, and then magnificently renders a moving and redemptive love story. Friends, this is not your standard road trip romance... THIS is the gold standard in happily ever afters: Romantic. Passionate. Funny. Sad. Tender. Heartbreaking. Hopeful. Frustrating. Special. [It] will engage and engross you from start to finish.